In order to be eligible and write the Ontario CCA 4R NMS exam, you must be an Ontario CCA in good standing. On Friday, February 1, 2019 the Ontario CCA program will be offering the 4R NMS exam. The exam fee is $95 + HST. Exam registration for all 2019 exams is now closed. On Wednesday, January 16, 2019 we will be offering a one-day 4R workshop for those writing the 4R NMS exam. The workshop fee is $150 + HST. Please visit the "Registrations & Payments" tab for an agenda and registration form. 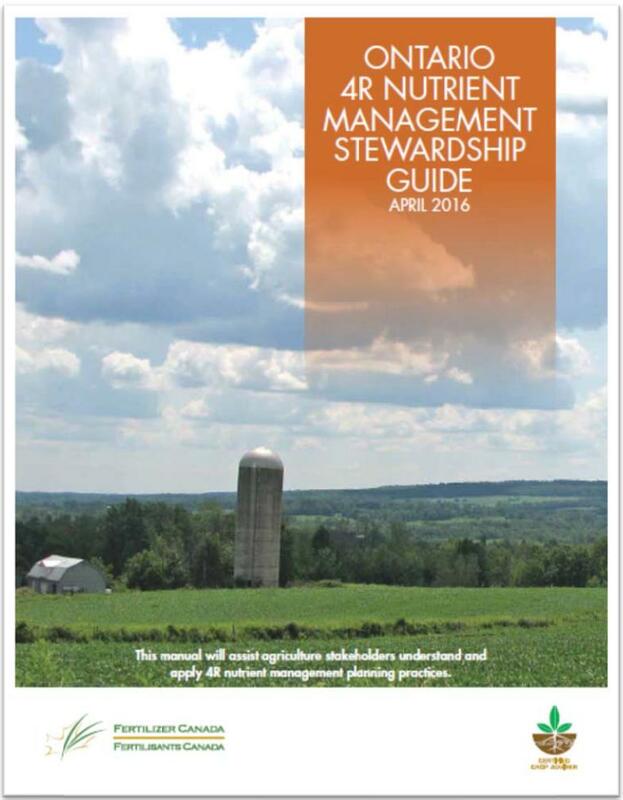 To view our 4R Nutrient Management Stewardship Guide online, please click the link to the right. Please note that this version can only be viewed online, it cannot be downloaded or printed. The 4R Guide is $66.06 (includes tax and shipping). To view the 4R NMS Performance Objectives please click here. If you wish to purchase a hard copy, please click here to order online.